The Fynbos Wine Route South Africa West Coast is an interesting and happy excursion! You will meet warmhearted people who are passionate about their area and its produce. Fynbos occupies 5,3 % of South Africa, found almost exclusively in the south-western and southern parts of the Western Cape Province. Fynbos comprises evergreen heath-lands and shrub-lands in which fine-leafed low shrubs and leafless tufted grass-like plants are typical. Trees are rare and grasses comprise a relatively small part of the biomass. Fire is a very important component in the life cycle of fynbos. Most fynbos is highly flammable due to the common presence of flammable oils. Finely wooded fynbos plants are obligate seeders, which means that the whole plant dies after fire and can only reproduce through seed. This distinguishes fynbos from the other ecosystems where fire is common. Many plant species are dependent for pollination on small mammals or birds such as the Cape sugar-bird (Promerops cafer). Fynbos, with its complement of at least 8 578 species of flowering plants, is now recognised as supporting one of the most diverse and distinctive floras in the world. All in all, 5 832 or 68 % of the plant species are endemic. Many of the fynbos plant species are restricted to extremely small distribution ranges, a fact which has rendered them dangerously susceptible to extinction. Economic utilisation of fynbos vegetation is limited to selective grazing by small stock on newly burned lowland areas and to wild-flower production. Most commonly utilised are the protea species, which are exported fresh or dried. The floristic diversity of the fynbos is not paralleled by an equally rich fauna due to the absence of grass and berry-producing plants. Fauna includes species such as the leopard (Panthera pardus) and geometric tortoise (Psammobates geometricus). Fynbos products such as Fynbos honey, rooibos tea, buchu, veld flowers, thatching-reed are harvested but table and wine grapes, wheat, fruit and olives are very important agricultural produces of the natural Fynbos areas. 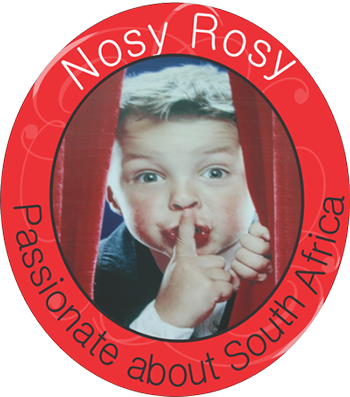 Please peruse the participating venues of the West Coast and Inland Fynbos Wine Route. Org de Rac is much more than organic – more than vineyards, wine, lavender, rosemary, olives, the fantastic view and beautiful surroundings. Up close and personal you’ll discover a true green heartbeat at the foot of the Piketberg, embracing the free spirit of the Swartland, living an organic dream and a bio diverse philosophy constantly striving for balance between nature, people and business. Turn off the N7 for a visit and see, smell, taste, experience and understand the rhythm of our green heartbeat. Open Monday to Friday 9 – 5pm and Saturdays 9 – 1pm. Physical: N7 between Moorreesburg and Piketberg. 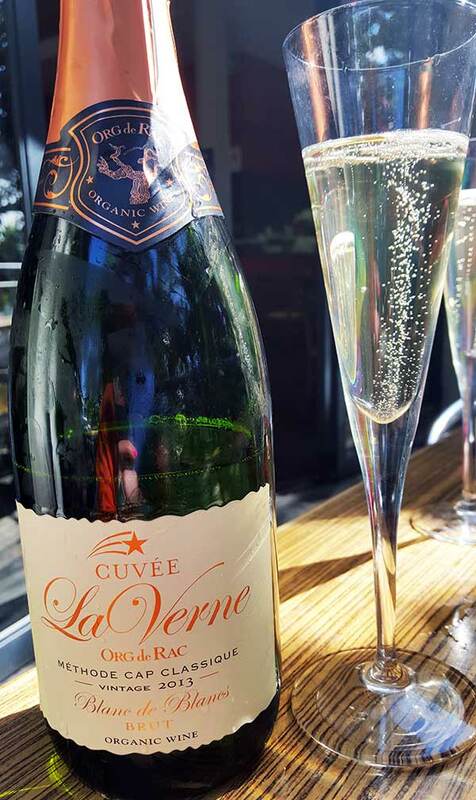 A Nosy Rosy Favourite: Orc de Rac Cuvee La Verne MCC Blanc de Blanc Brut. Experience the Cellar on the Square. There’s no better place to savour our wines than at our new Wine Shop on the Square in Riebeek Kasteel. On a fine day you can sip a Sauvignon Blanc and watch village life go by from under an umbrella on the sun-drenched stoep. On a cool winter’s day, you can savour a spicy Shiraz in the warm and inviting modern interior. Come and taste our wines, and purchase from our extensive range at cellar door prices, all conveniently situated in the heart of the town. Call 022-448 1171 to find out more. The wines of Darling are blessed with the consistency of quality due to their viticulture location and yet a diversity of style that makes them all so different. With scarcely half a dozen producers there is a lot to explore! There is however a practical side to a visitors “route of exploration” in that in typical Darling diversity, the vineyards are located in four different directions from the centre of the town. To visit all the Vineyards in one-day is possible but not always practical, and this is what has inspired Darling négociant Charles Withington to come up with the idea of the Darling Wine Shop – a one-stop shop in the centre of Darling where one could buy virtually the entire range of any of the Darling wines, and at cellar door prices. From his many years of experience in wineries and “re-inventing” of a few Cellar Door Tasting rooms, Charles realises the criticality of having the right staff to make it work. One would not think so, but the majority of the questions asked by the visitors are not “wine technical” but more about wine in general and the area in general. ( I once did a presentation on “50 questions you Cellar Door staff should be able to answer” and found it amazing how many answer to “simple” questions were not forthcoming.) The staff of the Darling Shop all live in Darling and over and above a good local wine knowledge, have a good knowledge of surrounding areas too, and this is greatly appreciated by the visitors. We stock the wines of Cloof, Darling Cellars, Fairview, Groote Post, Tukulu, and Withington. The Darling Wine Shop also provides the opportunity for the many, many visitors to Darling who come to see Evita, explore the flowers, and experience the Voorkamerfest, and who are invariably lovers of good wine and fine food, to be able to source these delights right here in the centre of the village, saving them time and travel. 1. Mixed cases like the “summer stunners” with a selected white wine from the six producers, or the “winter warmers” where the same exercise is done with red wine. 2. An opportunity to purchase all the areas wines in different combinations. 3. To taste the “wine of the day”. 4. To make use of a very efficient freight delivery system both locally and internationally to have Darling wines delivered to your doorstep. 5. In these days when delivery costs are expensive, to be able to have goods from different suppliers all arrived in a single consignment. 6. The whole “Taste of Darling” project which encompasses all the best in food and wine from Darling. 7. “Spoil yourself Fridays” – where we bring in to the shop mussels and oysters harvested that morning , and for people to buy. And so there we are – we urge you to come and visit us and see and experience the delights of Darling.